The Redmond Brewery Tour. My Favorite Four. Ther e is just something about an ice cold beer on a hot summer day. Amirite? Of course, I am. The only thing any better is having the beer totally fresh from the brewery direct. With that in mind, here’s my take of the top breweries in Redmond. And hey, if you want a tasting partner, look no further! Part farm, part brewery, and 100% on their game, Bushnell offers an on-site tapr oom experience. Open most days at 11 am, the Hop House offers fun fare with your pints. Even better? 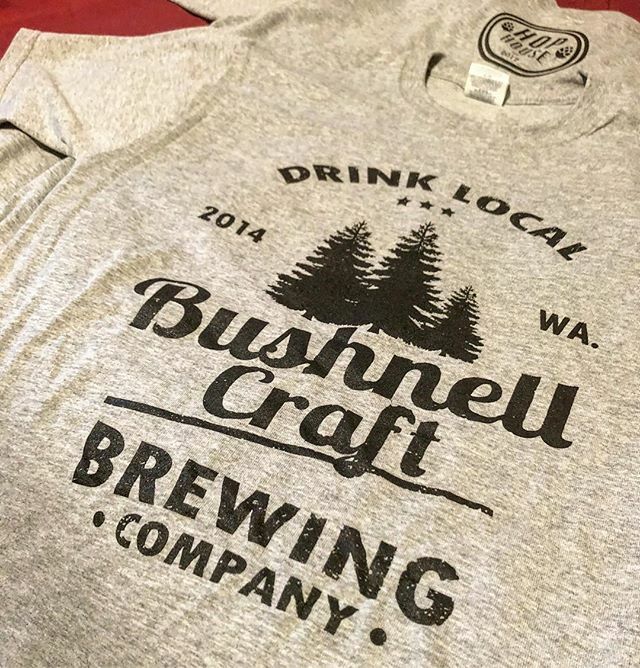 Show up on Tuesdays after 3 pm, order a pint, and get a free T-Shirt. Um, yes, please! The brewery itself offers six flagship beers and a host of seasonal brews as well. Once you’ve found your favorite (I’m partial to the Blackberry Barley this summer), don’t forget to stock up on farm fresh eggs before heading home. They’re just $5 a dozen. The chickens aren’t for sale, though. These folks have a simple mission. “Brew Beer that people want to drink.” And trust me, you’ll want to drink their beer. They currently produce about 12,000 barrels a year and are only growing. You can head into their tap room to try their famed beers, and most are also available in a keg or growlers to take home with you. 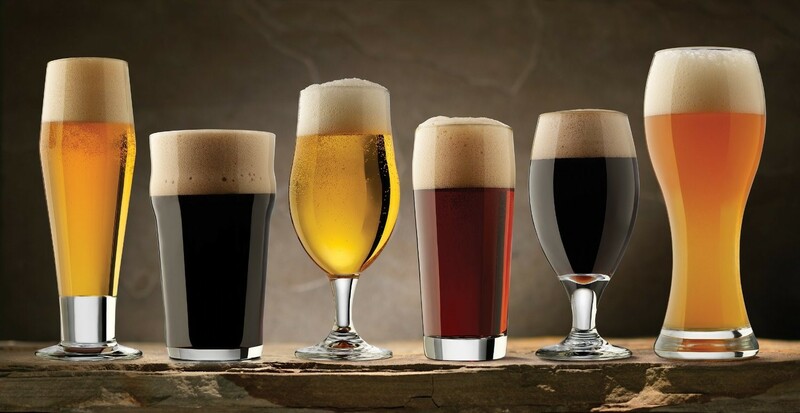 Many of their brews are award-winning and range from lager to porter with fruit flavors and everything in between. I’m looking forward to trying the Raspberry Sour myself. Everything is so reasonably priced, you’ll want to try them all! If you love local beer, Mac and Jacks is no stranger to you. 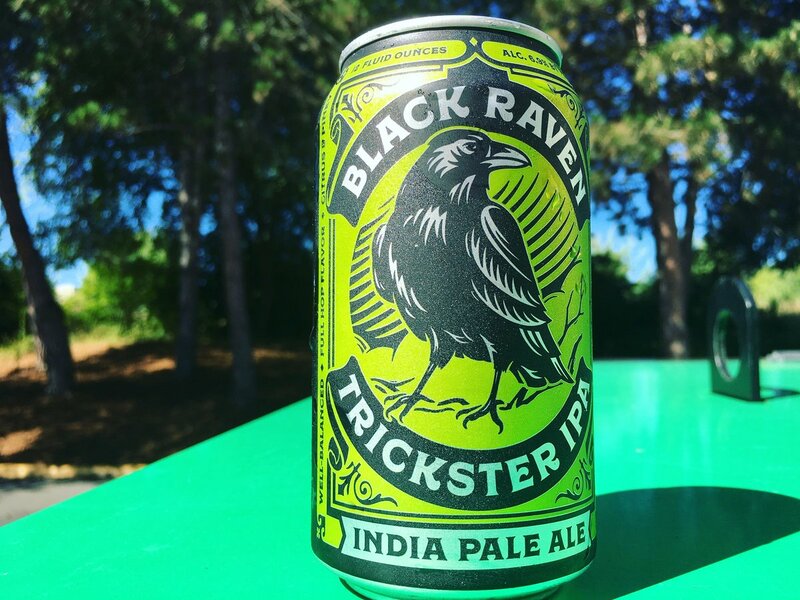 This brewery has gained some big notoriety and is available in a lot of local restaurants and at Safeco field, too. The African Amber is my personal favorite. Established in 1993, the company is still run by the original founders, but they have moved out of their original establishment in Jack’s garage. You can take a brewery tour here on Saturdays and Sundays at 1 and 3 pm. The tours are free and include free tastings, no reservation necessary. Mac and Jack’s offers 5 year-round brews and a host of rotating seasonal beers, too. 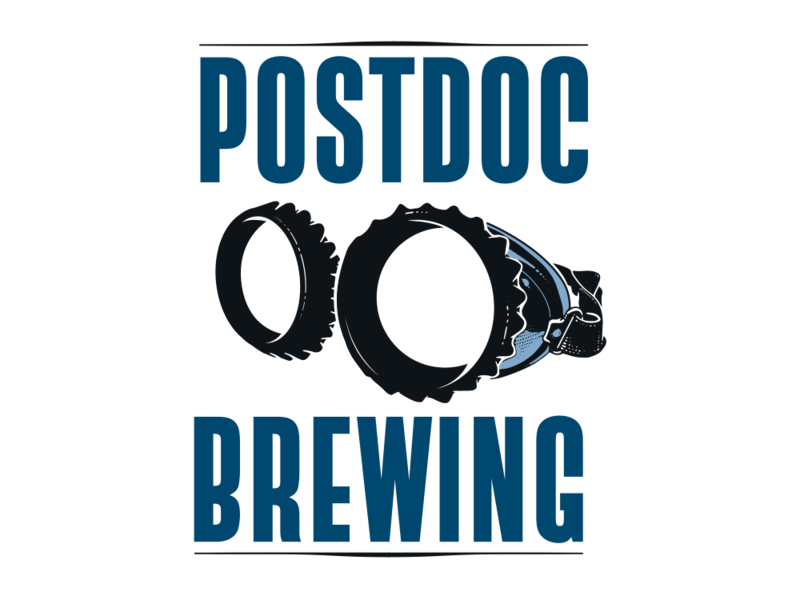 With a relaxed atmosphere that is warm and welcoming to all (even dogs and kids) Postdoc started in the garage of a Ph.D. in Biochemistry back in 2013. What starte d as a weekend pastime between neighbors has gone on to produce some pretty awesome brew. Personally? I’m a fan of the Grapefruit Blonde. Mostly because it’s pink. And I’ve never seen a pink beer before. You can find about 10 brews on tap at any given time, and the company plays host to various events and food truck appearances. Besides the fact that you can stop there after a bike ride….my favorite thing, though? I love their loyalty program, which is structured like a degree-granting institution. As such, there is a tuition scale. But in exchange for buying an adjunct professor or tenured professorship, you get discounts on brew and lots of swag. Have you been to these breweries? Which was your favorite? Favorite brew overall? Help me find a new favorite! 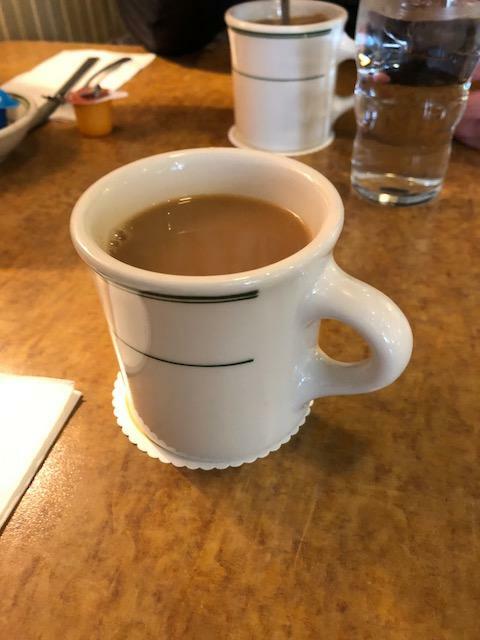 A great breakfast place is a staple in every neighborhood this a great one in Redmond everyone should try! 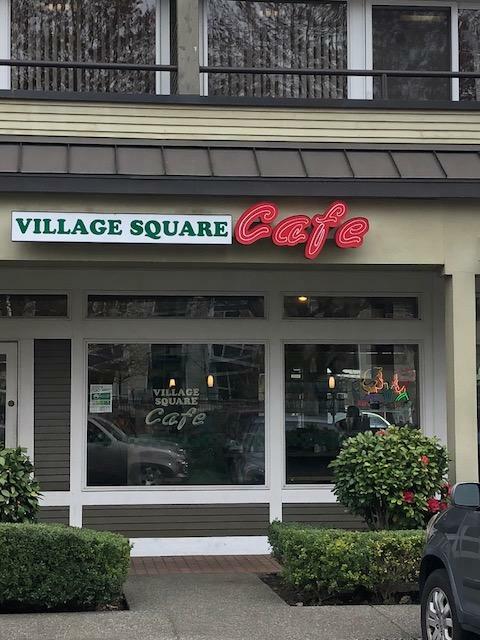 The Village Square Café — This place usually has a line to get a seat and sitting at the bar in this diner style restaurant is a great option. On this day we were sat right away — on a weekend I’ve been know to wait for a bit. Typically not more than a :30 minutes. Our waitress was Michelle and she was amazing. We never had an empty cup of coffee! 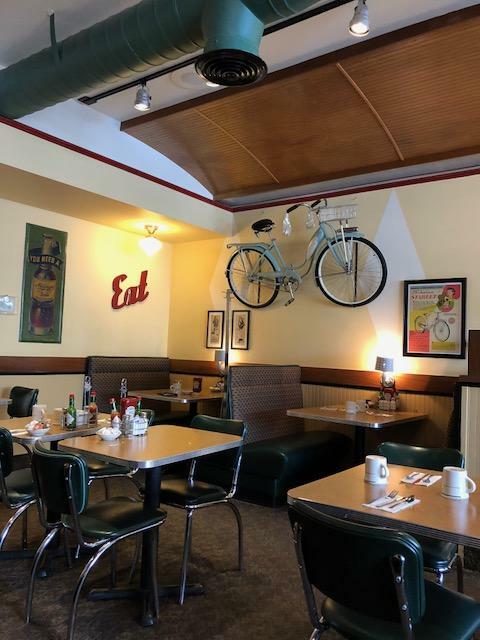 The kitschy decor add to the authentic diner style feel of this place. The service was prompt and as important as the customer service was the great breakfast we had. 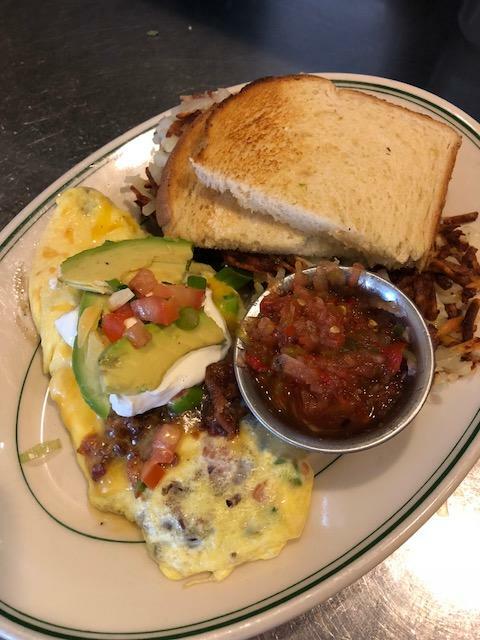 Fresh salsa accompanied the Mexican Omelet and lemony hollandais e sauce the Eggs Benny! This place is totally kid friendly from the great options for them to eat the great décor to keep their senses occupied.